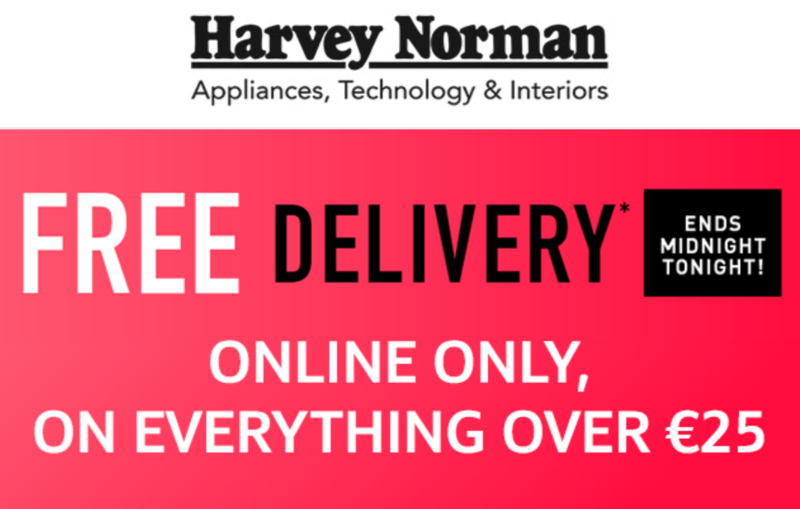 Harvey Norman - FREE Delivery Today Only! Make the most of this limited offer if you're in the market for appliances, technology, and interiors. Harvey Norman are giving free delivery online only on everything over 25 euro, ends midnight tonight!